If you like the vegetables to be brown, don’t crowd the sheet pan! Separate the ingredients onto 2 pans for perfectly cooked vegetables. Mix and match your favorite vegetables, add more sausage, or add whatever seasoning you like: you can’t go wrong with this recipe! Divide ingredients onto 2 sheet pans. Drizzle with olive oil and sprinkle with seasonings. Bake for 20-25 minutes, stirring once. 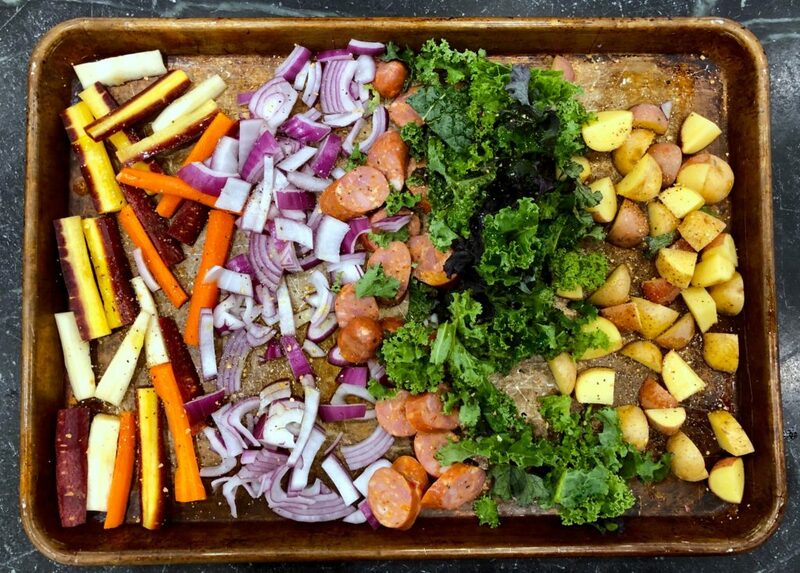 Copyright © 2019 Our Everyday Dinners - This is an easy recipe for how to make Sheet Pan Sausage and Veggies.